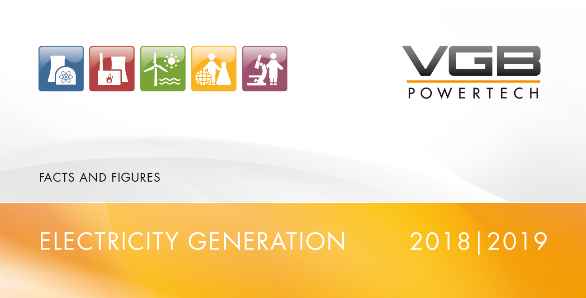 Change in the management of VGB PowerTech e.V. With effect from 1 April 2018, Dr Oliver Then takes over the management of VGB PowerTech as successor to Erland Christensen. The Board of Directors of VGB PowerTech e.V. has appointed Dr Oliver Then new Executive Managing Director of the international technical association VGB PowerTech e.V. and its commercial arm VGB PowerTech Service GmbH. Then (51) will take on the executive manage-ment role at the Essen-based international association for the generation and storage of power and heat on April 1, 2018. Erland Christensen, Executive Managing Director of VGB since July 2011, will be leaving at his own request after leading VGB together with Oliver Then for a transi-tion period until the end of June 2018. Dr Oliver Then is a recognized expert in power generation. After studying and obtaining his doc-torate (Dr.-Ing.) with a focus on energy technology at the Ruhr University in Bochum and RWTH Aachen University, he began his professional career as a trainee and power plant engineer at RWE Energie AG at the Huckingen and Karnap power plants. As a senior project engineer and project manager, he then worked internationally for RWE Power AG and RWE Technology GmbH, with responsibility for technology in new-build projects. Since October 2013, Dr Then has headed the “Power Plant and Environmental Technologies” office of VGB PowerTech e.V. In this field, he also represents the association on national committees of DIN, VDI and BDEW and in-ternationally at EURELECTRIC and the International Energy Agency (IEA). The duties of the Executive Managing Director of VGB PowerTech e.V. also comprise the Manag-ing Director role at VGB PowerTech Service GmbH and the VGB Forschungsstiftung. VGB Power-Tech Service GmbH makes its expert knowledge available by providing technical services to the industry, organizes conferences and other events, and publishes VGB Standards and the interna-tional trade journal VGB POWERTECH.